James Wellbeloved loyalty scheme is here! 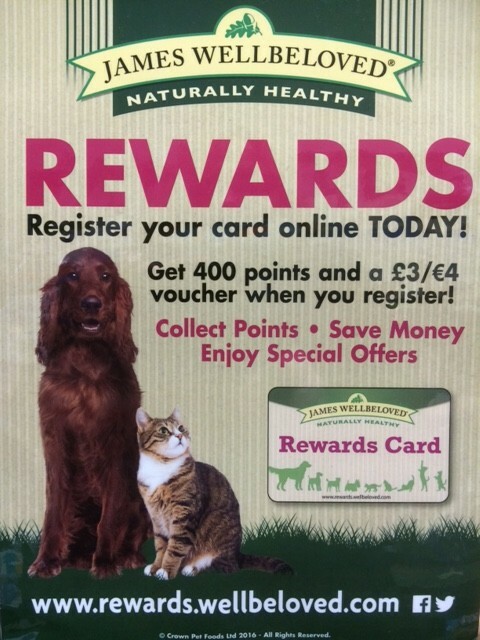 We are pleased to be able to offer this new loyalty scheme to our customers and to be able to give something back to them. Pick up a card from us and register it online to collect your points which can then be transferred into money off vouchers. It works in a similar way to Nectar points. We are also continuing with our very popular Burns loyalty scheme where you buy 7 bags of dog food and receive your 8th bag of food absolutely free! Please call into the shop to find out more.